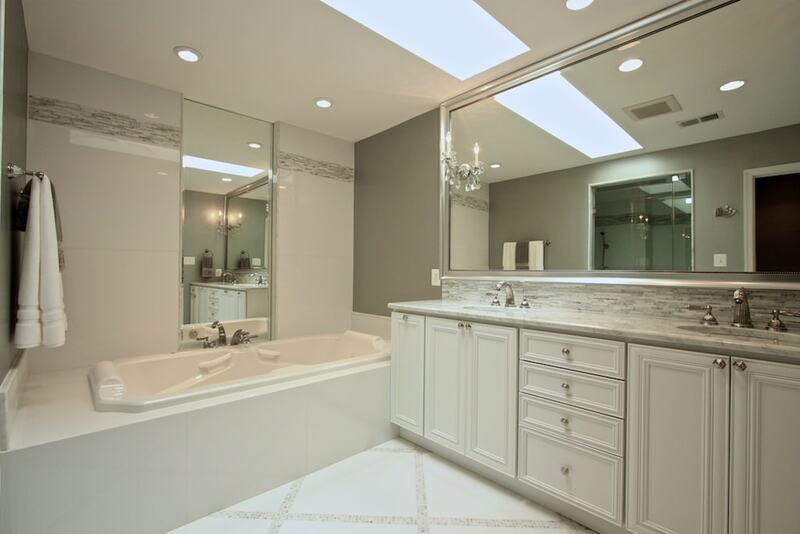 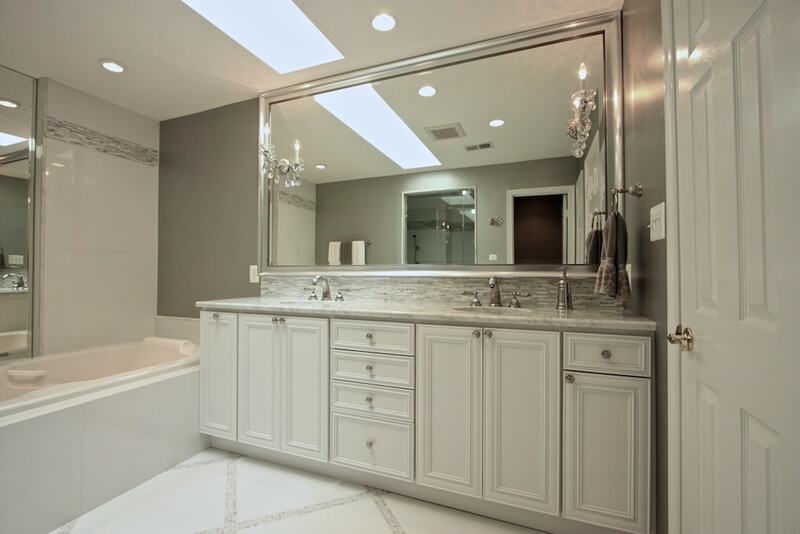 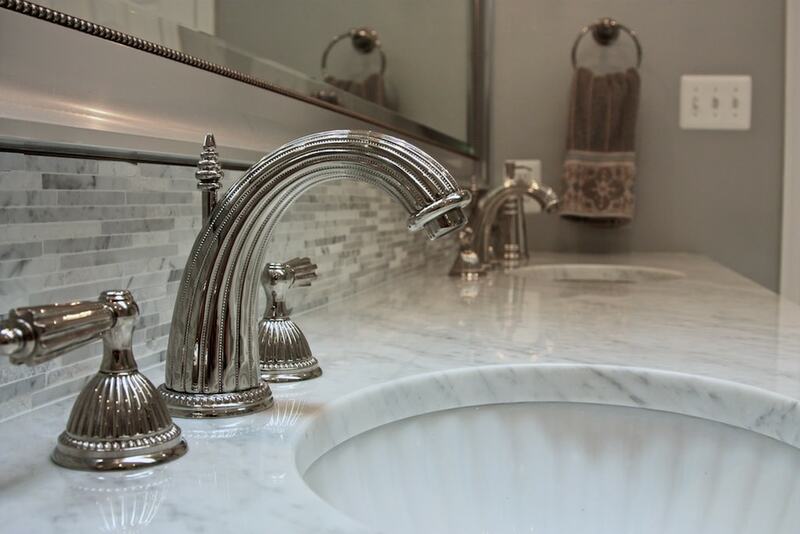 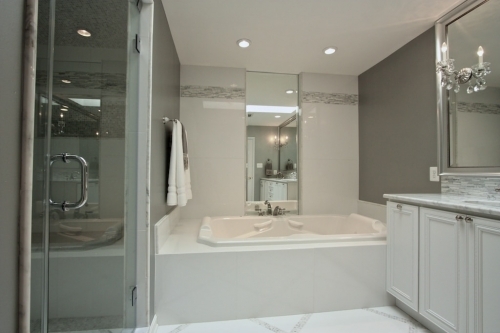 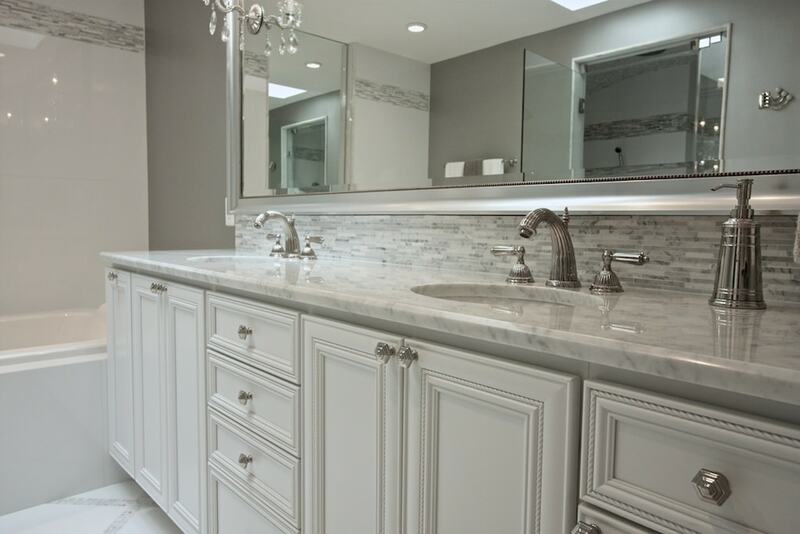 Existing bathroom was completely removed with sink and tub locations staying in same locations. 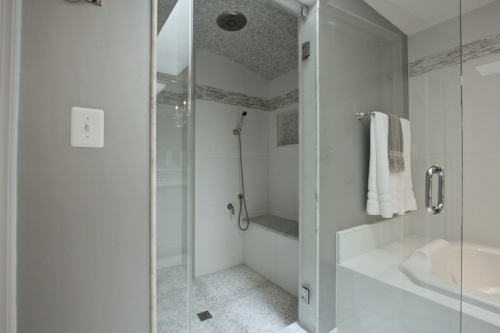 Shower and toilet area were redesigned to have a larger shower and more private toilet area. 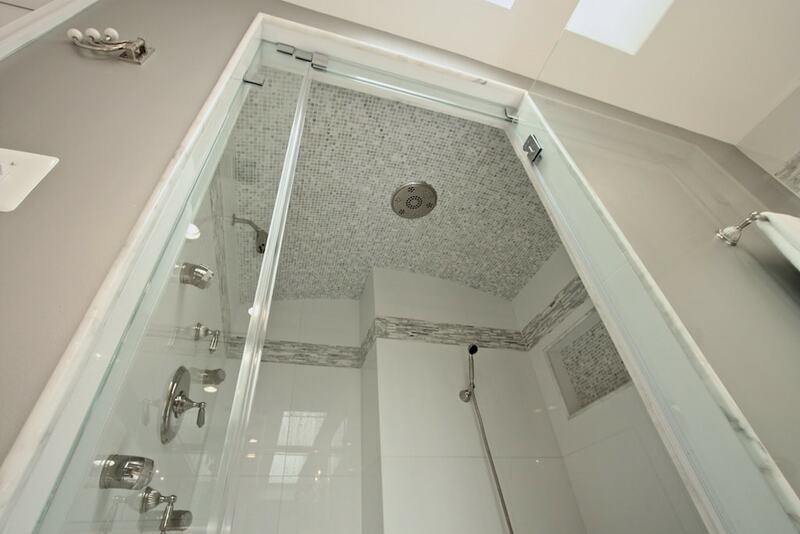 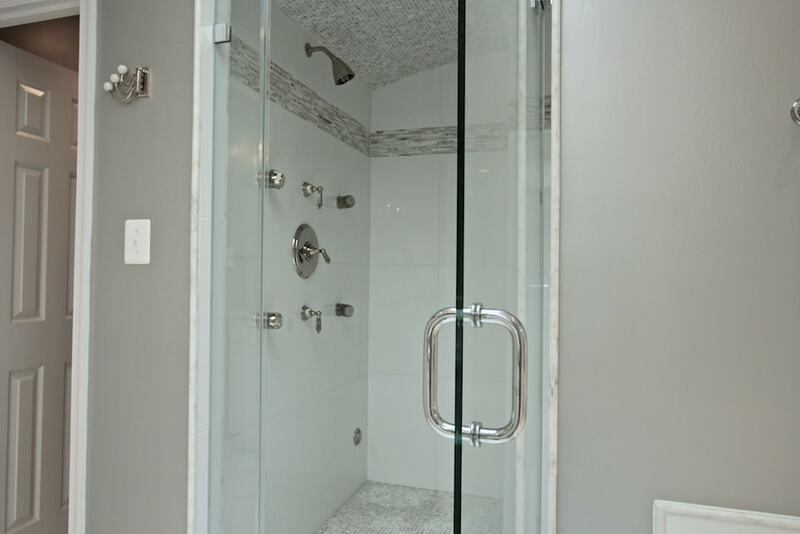 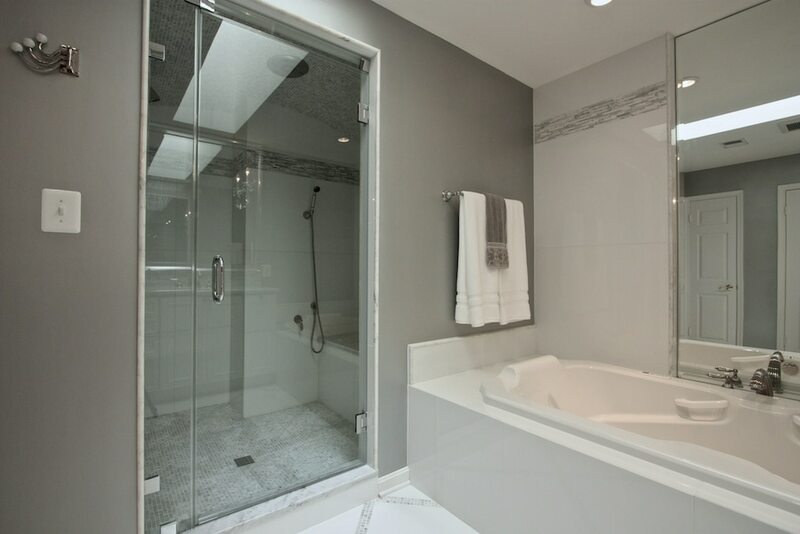 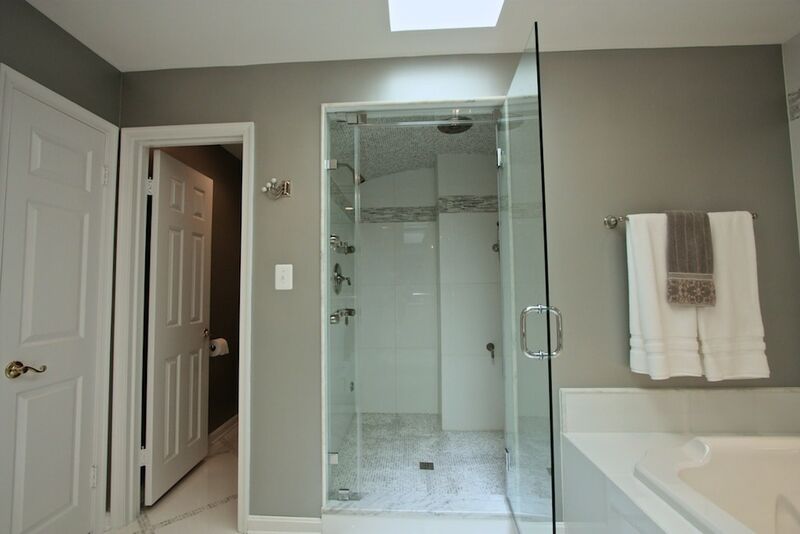 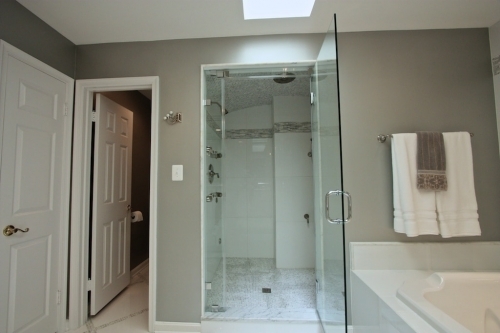 The new shower is large and features four body sprays, fixed shower head and handheld, steam unit, curved ceiling with speaker/lighting unit, and large glass tiles with carrera marble tiles for floor, ceiling, and accents. New jet tub was installed that with mood lighting.